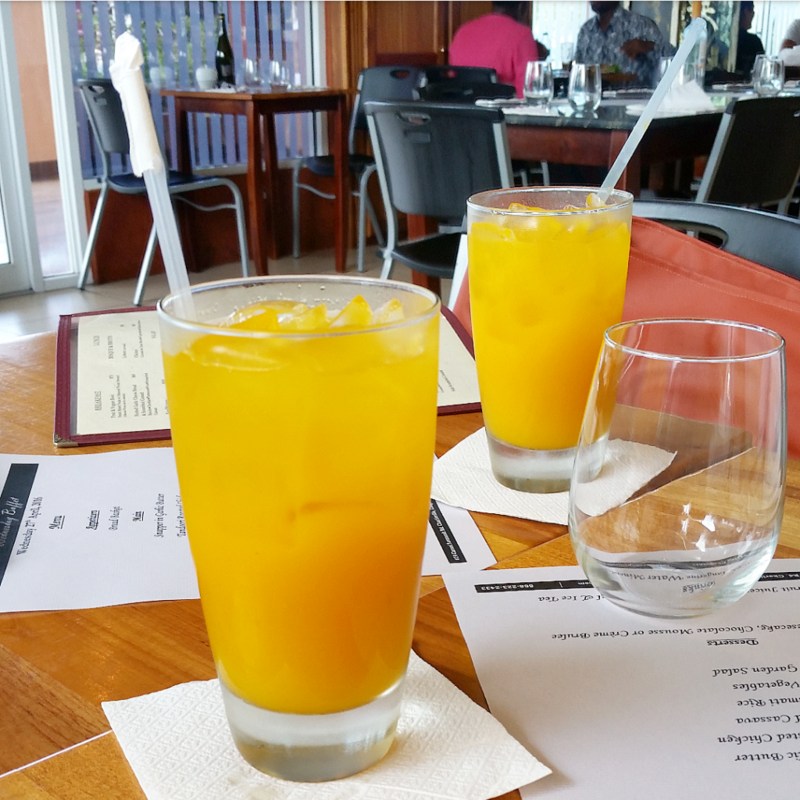 The last time I was in Trinidad I put together a list of local eats that you must try such as Richard’s Bake and Shark, pholourie and Trinidad’s most popular street food doubles. This time around I wanted to show you a different side of Trinidad that goes beyond doubles. When Maria of Trini Chow heard I was head to town, she reached out to take me on a food crawl and of course I accepted! TriniChow.com is the authority on where to eat in Trinidad and Tobago, so I knew Maria would have a lot in store. 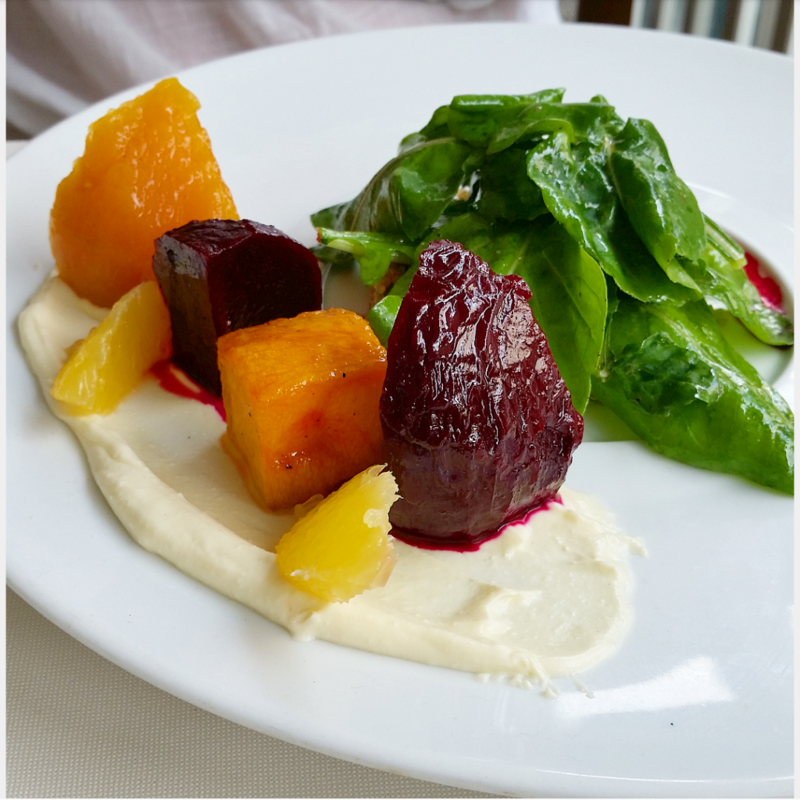 Run by Le Cordon Bleu trained chef Khalil Ali, head to Peche for French breakfast pastries, breads, coffee and other breakfast items. 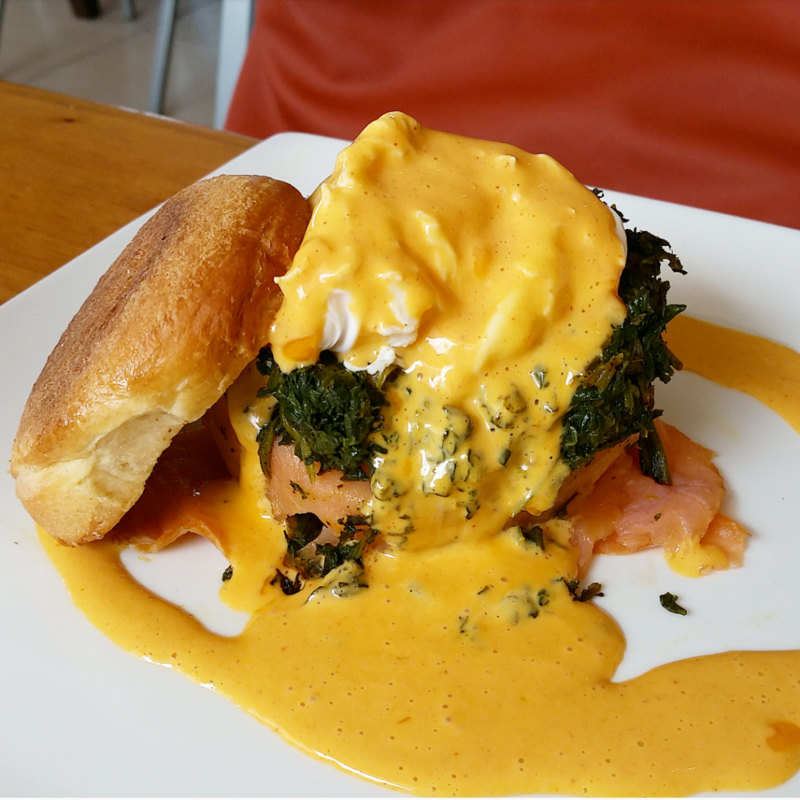 Chef Ali offers both local and international fare, from waffles with mixed berries, croissants to bhaji, tomato choka and buljol. 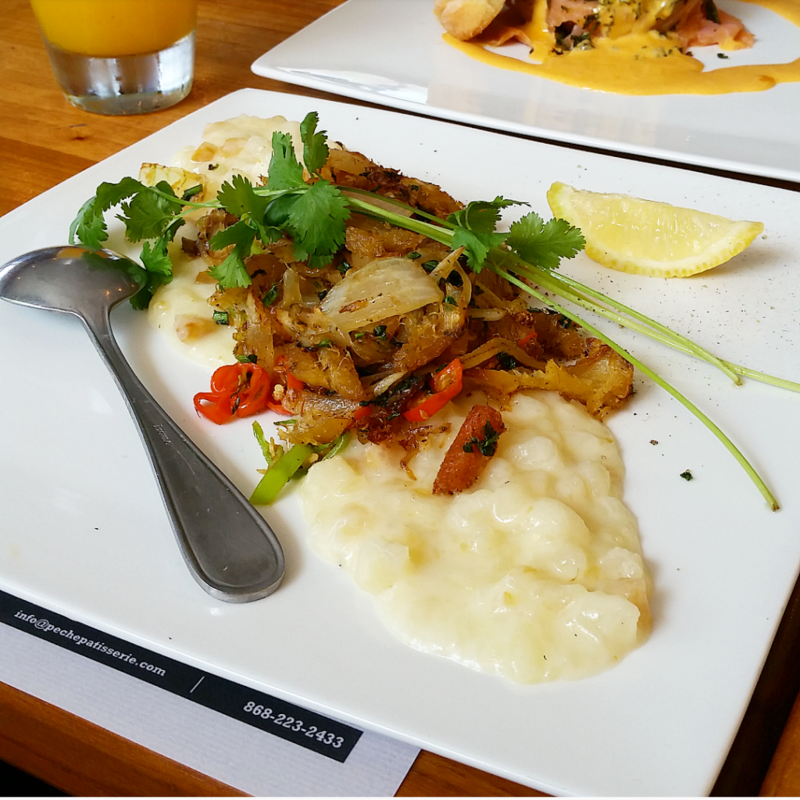 Be sure not to miss the creamed cassava with sautéed saltfish! 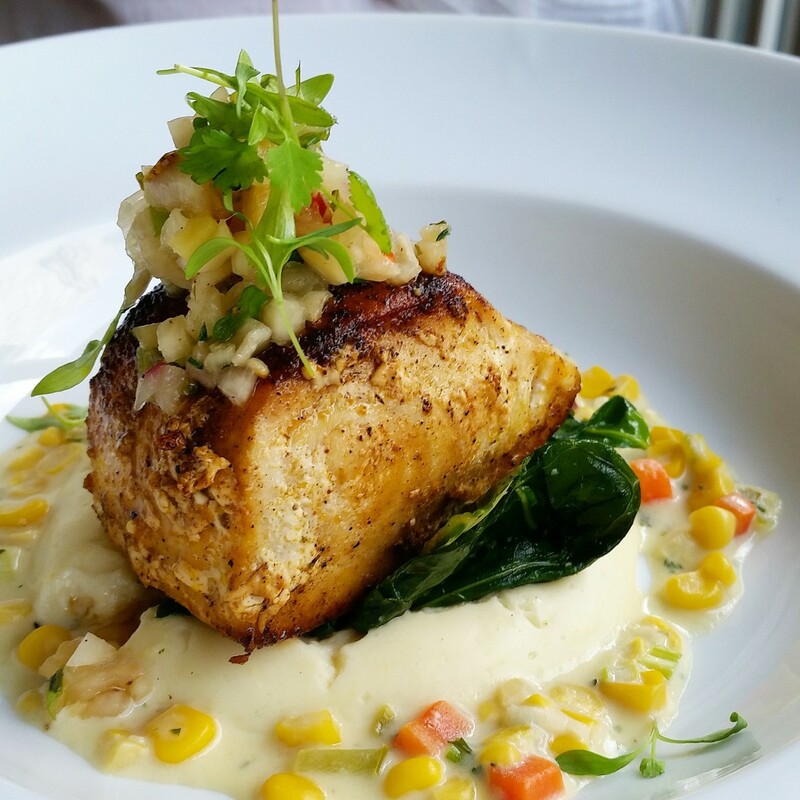 Bonus: stop in for breakfast, but stay for lunch. Try their fresh local oysters or prawn chili bruna. 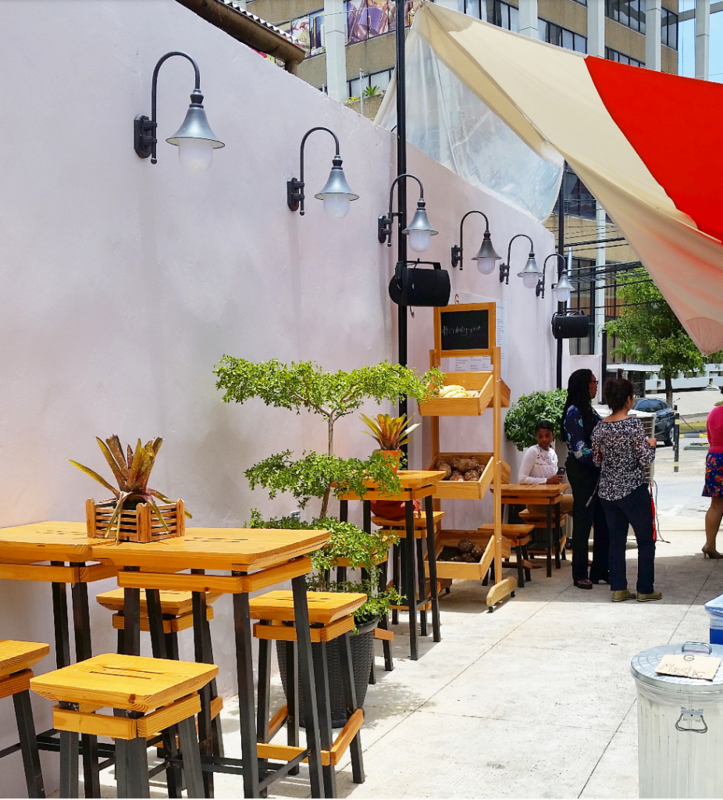 G Spot Food Truck is stationary food truck located in a chic lot in the heart of Port of Spain; the menu offers a selection of sweet and savory crepes, grain bowls, mashables, soups and salads. The generous portions are sure to leave you feeling satisfied; their mashables are local ground provisions(dasheen or sweet potato) mixed with herbs and spices that you can top with a variety of options like steak carnitas, salmon, seared tofu, grilled mushrooms, tamarind dressing and many more. 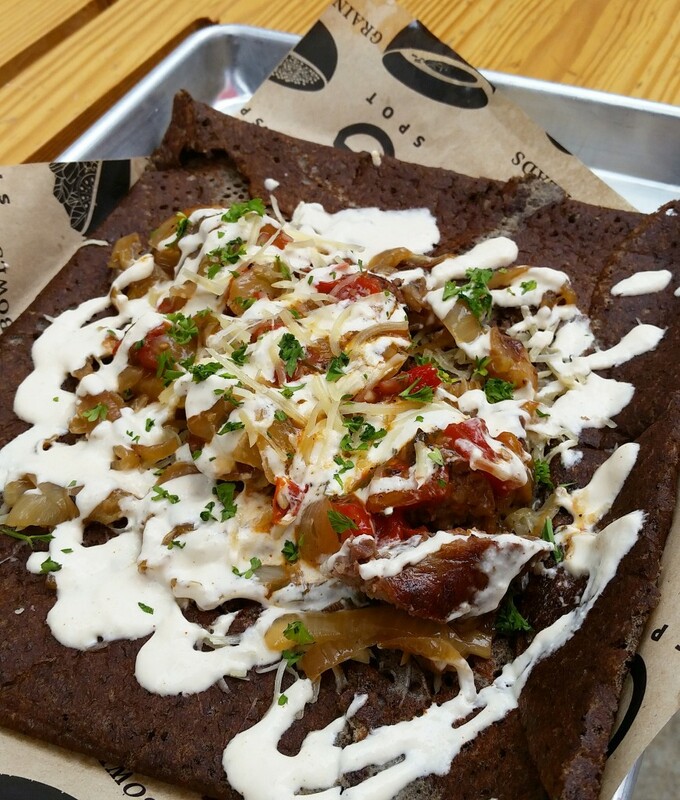 Try the South African inspired Springbok crepes made with local handmade boerewors, caramelized onions, cheese, homemade chili mayo and tomato relish. Chaud’s interior is a breath of fresh air; it’s simple but elegantly designed dining room prepares you for what is to come, a meal that will leave a lasting impression. 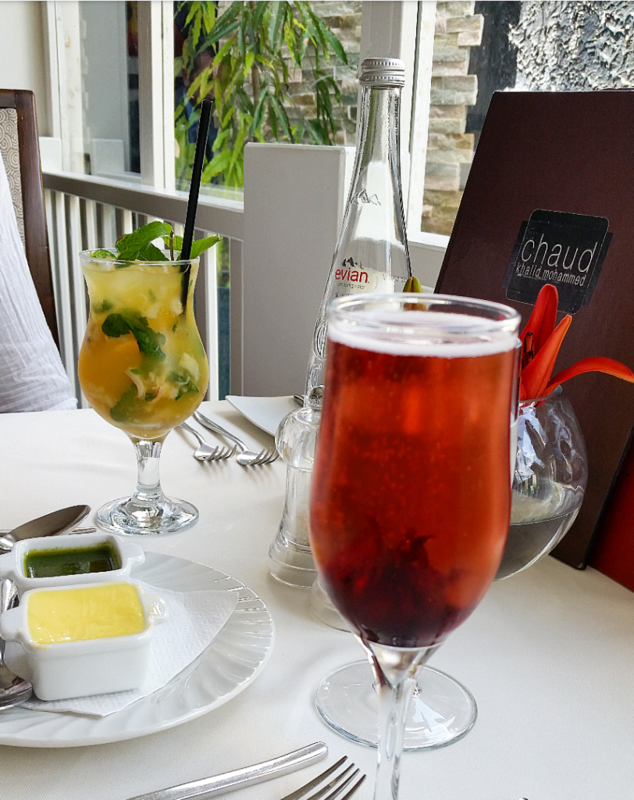 Chaud is one of the few fine dining establishments that elevates Trinidad’s local cuisine and as well as international dishes. 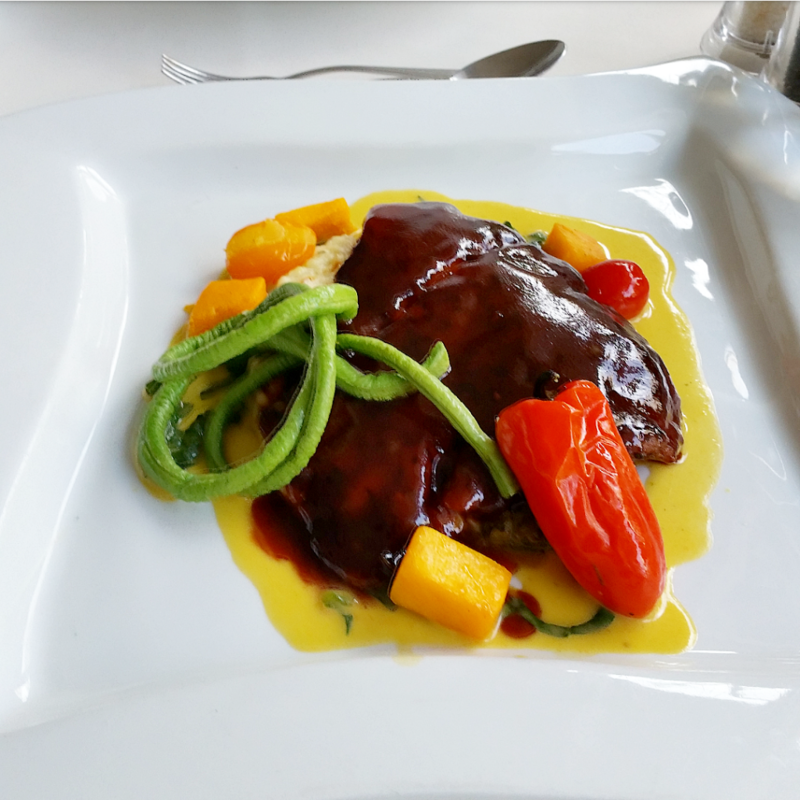 Where else can you have guava grouper with callaloo, bora and pumpkin essence while sipping on sorrel blossom royale or virgin lychee passion fruit mojito. 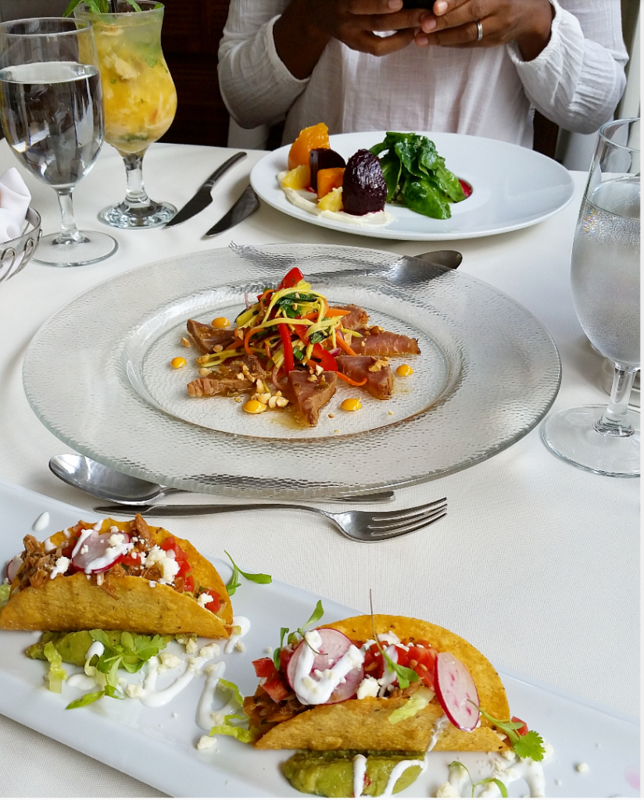 The menu offers a wide variety of dishes – from Ahi Tuna tataki with a green mango slaw, pork carnitas tacos, roasted butternut squash and beet salad to roasted rack of lamb with vegetable tian, merquez-cannellini bean cassoulet and shallot butter. Be sure to try the coconut-ginger panna cotta, with candied coconut and coconut dulce de leche ice cream, this flavors of this dish are reminiscent of sugar cake – it doesn’t get better than that!